A unit magnification microlithographic system based on the Dyson configuration. The system is made compact by using polarization folding with a polarizing beam splitter and a quarter wave plate. The system has an NA of 0.3 in the UV and NA of 0.1 for the alignment with green light. The system is diffraction limited. The illumination has 64 UV LEDs each with its own tapered bar. 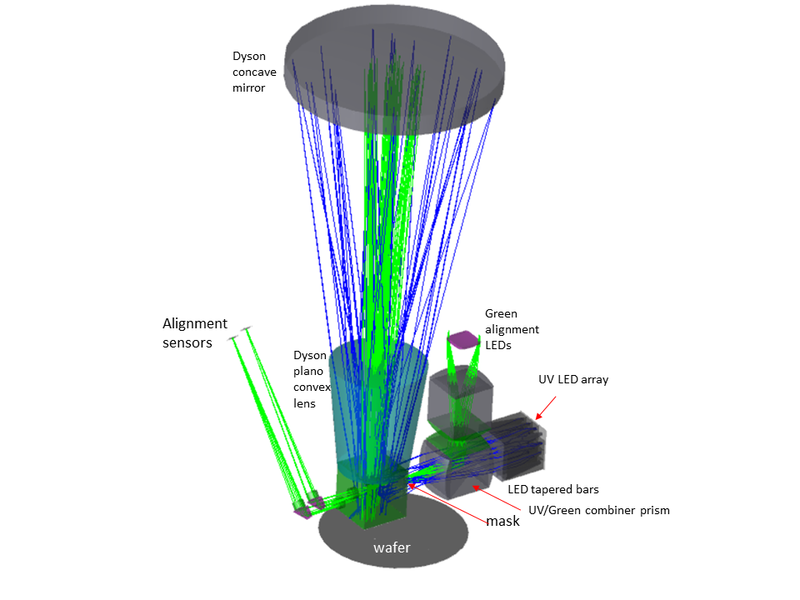 The beamlets are combined using a combiner lens which also serves as a UV/Green combining prism.